X Moor is a ball-bustingly visceral British horror from Luke Hyams that gets things just right on a storytelling and thrills level. The film kicks-off as young American couple, Georgia and Max (Melia Kreiling and Nick Blood) to travel to England to capture footage of ‘The Beast of Exmoor’, a legendary (and mythical) cat that is supposed to prowl the wilds of Exmoor and score some reward money in the process. Things take a turn when Georgia meets-up with her ex-boyfriend (Mark Bonnar), a man with a haunted past who lured the unwitting couple to the mysterious moor in the hope of catching a different sort of beast. Hyams takes the lost in the woods horror rule book and rewrites it. He introduces likeable characters, sets-up the conventions and makes the right changes to make X Moor feel fresh. The last time a British horror film felt this fresh was when Neil Marshall exploded into the genre with Dog Soldiers (a film this owes a great debt to). Unlike a lot of modern horrors, you actually care for the characters here and the cast must be recommended for bringing a tremendous amount of humanity to their roles. Any good horror film walks a fine line between feeling real and also being very far fetched. The audience must be totally terrified, but also aware there is something about what they are seeing which could happen. Hyams’ film hits those marks. Sure the events taking place on screen are far-fetched (at times very far-fetched), but they could happen. It’s that potential reality which is what makes the horror genre so special; these films get under our skin and they make us feel uneasy by tapping into our fears on a primal level. 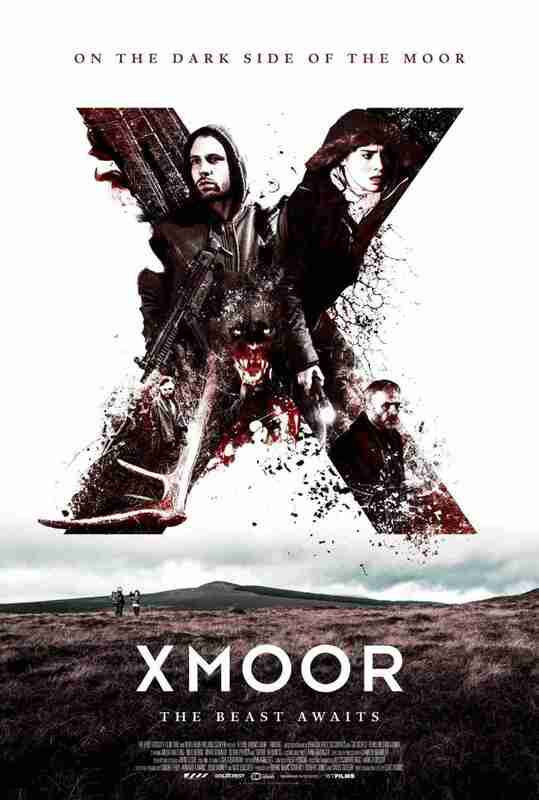 Shot in Northern Ireland (although you’d never know it), X Moor is one of the most exciting UK horror films in a long time. It’s well constructed, well acted and it has some superbly crafted tension woven into its fabric. If you like horror then you’ll love X Moor. Paramount Pictures Supports Darren Aronofsky After The Failure Of MOTHER!